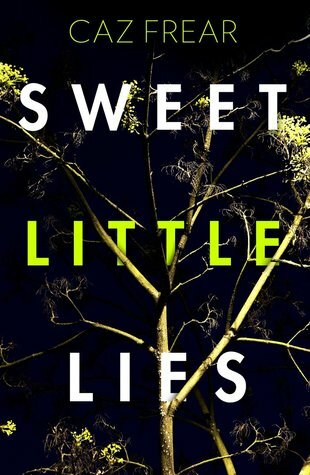 Caz Frears accomplished debut, Sweet Little Lies, brings readers into the world of DC Cat Kinsella. It’s easy to see why this won the Richard and Judy Search for a Bestseller competition in the UK and readers will be looking for more of Cat. It’s not every gal who has to ask her father if he has an alibi for the night of a murder . . .
Cat has an unusual family and that background affects her every move. When a murdered woman is dumped not far from her shady father’s pub, she’s forced to consider he might be involved, especially as she’s always wondered if he had something to do with the disappearance of an Irish teen, Maryanne, when the family was on a trip to Ireland years ago. The narration from Cat seesaws back and forth between that time years ago and the present, giving readers the history of what happened but only from the new detective’s point of view. It’s a complex story with twists in a compelling story. As facts come to light and connections between the two women are made, Cat finds herself dug in deeper as she hasn’t mentioned her father to her bosses. It’s an impossible situation she’s put herself in, especially when it comes to light what really happened to Maryanne, and all of the truths Cat thought she knew become questioned. With a host of flawed but believeable characters, this is a suspenseful police procedural, and with Cat’s wry humor added, it’s a sure winner. Don’t miss this one. Highly recommended.